I have been playing the cello in an orchestra for the past 11 years. I have been practicing as a soloist for the first 7 of those years. It’s usually more fun to play as a soloist because the pieces are written especially for the instrument, but, as I have been growing older, I feel that playing in the orchestra is gaining a mature appeal (like a fine wine, but I hate wine actually). 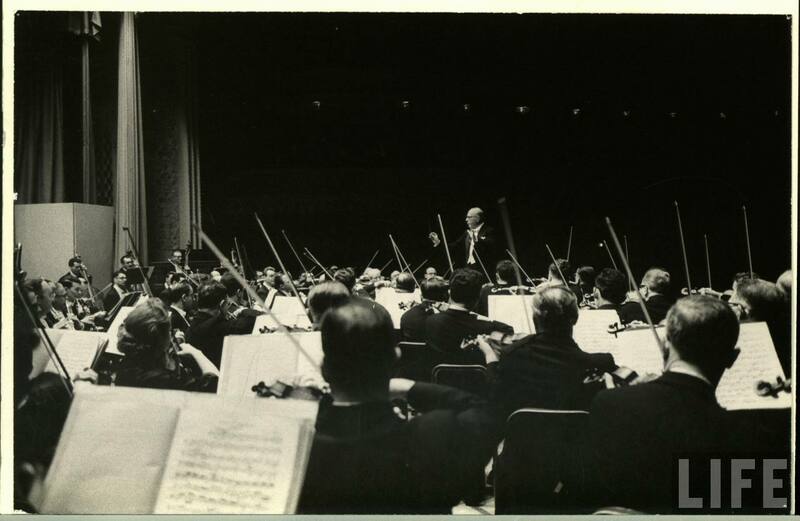 Whenever I am in rehearsal any given Monday or Wednesday evening, I find myself listening more–not necessarily listening to myself (because that’s what young players do for intonation, tone, dynamic), but I listen to the rest of the orchestra. I’ll even look over the rest of the orchestra whenever I find the chance. The view is really quite magnificent. It is even more grandeur when you consider what I am looking at: a score of violins, a wind and brass section, and the violas (that I rarely look at since they are seated next to me, but who wants to look at the violas anyway?lololjkjk). All of these instruments are supposed to be playing in concert both within their sections and as an orchestra. It is usually seen as a trivial task, but it really is one of the more complex things some of us set out to do. Within the cello section, I am elated whenever I find myself keeping up with my stand partner; when our bowings are in unison in both direction and length; when we both play our dynamics; when our notes sing the same. It is the best feeling in the world to be doing something together. It is the most beautiful thing in the world when we all are doing something together. I wish life were more like the orchestra. I wish we all could agree on one thing and understand that we all have different parts that amount to that one thing, that none of our parts harms the other.